Everyone agrees there is an opioid crisis in America. As Paul Brakke, publisher of American Leadership Books and author of Crime in America, notes in a chapter in that book, there were more than 72,000 drug overdose deaths in 2017 from both illicit drugs and prescription opioids. This number reflects an upward climb each year since 2002, according to the Center for Disease Control’s CDC Wonder database. Another troubling statistic is that more than 115 people in the U.S. die each day after overdosing on opioids. And the economic burden on prescription opioid misuse is $78.5 billion a year, which includes the costs of healthcare, lost productivity, addiction treatment, and criminal justice involvement. Yet given the need to resolve this crisis, Brakke is concerned about the apparently failed efforts of the U.S. Congress to come up with a bipartisan response in writing the Opioid Crisis Response Act of 2018. The bill received a 99-1 vote in the Senate on September 17, after the House passed its own bill in June, though the two still have to be reconciled before they can be passed. Unfortunately, this reconciliation seems difficult to achieve, since experts and activists claim the bill doesn’t go far enough, mainly because it doesn’t significantly increase the spending for the crisis, apart from authorizing some relatively small grant programs with the actual funding to be decided later in Congress. Also, the bill doesn’t pay for a wide expansion of addiction treatment, which many experts believe is necessary. And now it would seem that the bill has died in Congress, since after a spate of articles in September hailed this bipartisan compromise, nothing further has been done to finalize the bill. Perhaps this is because all interest turned to the elections and now it’s up to a new Congress to deal with the issue. Establish mandatory minimum sentencing as a penalty for distributing certain opioids, based on the amount of drugs seized to help reduce the supply. Increase the interdiction efforts at all ports of entry and along U.S. borders. Expand access to proven treatments and recovery methods. Broaden education and awareness of the crisis. Create a separate drug sales court to deal with death penalty for drug trafficking cases. Set up a separate division in the prisons or separate prison wings to house drug traffickers. Publicize the names of the individuals sentenced under the new laws. Set up a tip line for information that leads to the arrest of drug traffickers. Provide more funds for research into better addiction treatments. Brakke’s goal is to get legislators to incorporate these ideas into the next iteration of the Opioid Crisis Response Act to help reduce the use and abuse of opioids in America. To learn more about Brakke’s views on the opioid crisis, you can now get a free review copy of Crime in America, which includes a chapter on the subject. The book is available for preorder, too. 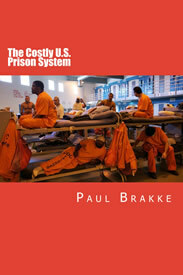 Brakke is offering these books for free to anyone who wants to review and comment on the book. Also, copies are available for government officials who might turn some of these suggestions for reducing crime and fixing the criminal justice system into legislation. Members of the media are additionally invited to request copies of the book. To help draw attention to these suggested fixes in the book, Brakke has launched a video and social media campaign with five new videos each day. The first 10 videos are featured on his American Leadership Books’ YouTube channel. Among the most recent videos is Paradoxes in Politics. 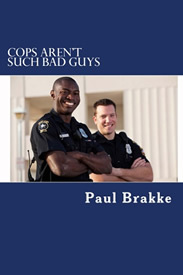 Brakke brings to this discussion of crime and the drug problem in American society an extensive background in researching the subject as the publisher of American Leadership Books and the author of seven books. Six of them deal with what to do about crime in America, and one deals with understanding and healing the great national divides in America. Other past books include: Dealing with Illegal Immigration and the Opioid Crisis and Fixing the U.S. Criminal Justice System. 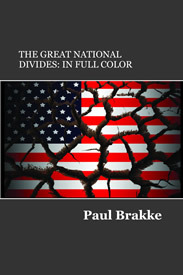 Since these first books were designed especially for law enforcement professionals, government officials, and academics, Brakke is now adapting these books for a general audience and will be bringing out his next books — Fractured America and Prisons in America — in the next few months.